It’s that time again. 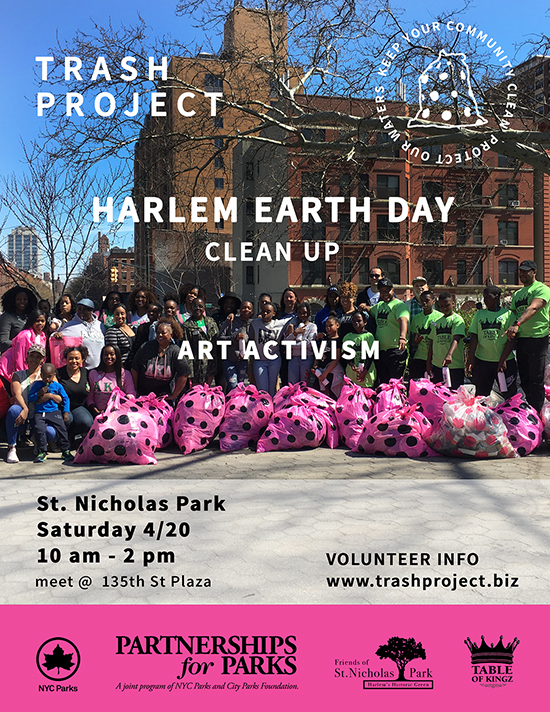 We are happy to announce our Harlem Earth Day Clean Up. The event will be held at St. Nicholas Park on April 20th from 10 to 2 PM. We are planning a clean up of St. Nicholas Park to celebrate our love for the park by giving it some TLC for our first event of 2019. The event will feature a general clean up of the park, raking and weeding. There will be activities for the kids and refreshments for all volunteers. Join us this month and put in some work for Mother Earth in 2019.